What does a perfect life look like to you? It is something we all dream about yet if we were realists, we would know that it is not attainable. We may have moments when things seem to be going great and there is joy, contentment and satisfaction in many facets of life. But it is not sustainable. There are too many things that come along and turn things upside down. I know that this is nothing earth shattering, but this time, as I thought about it, I had a new take on it which I will get to in a little while. 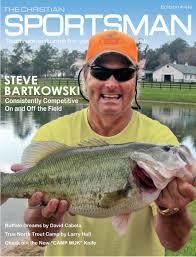 But first, let’s get into the story Steve Bartkowski, former quarterback of the Atlanta Falcons. As you can read in this story from faith talk ministries, Bartkowski had a great life on the go. 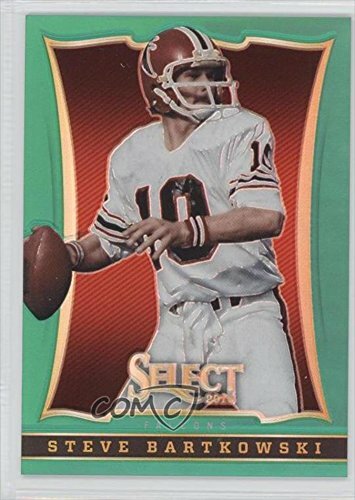 He was the first overall draft pick in 1975, picked just ahead of Hall of Famers Randy White and Walter Payton and showed that he was deserving of that pick winning the Rookie of the Year award. He would go on the play in 2 Pro Bowls, join the Falcons ring of honor and had his number retired by Atlanta. But life was definitely not perfect for “Bart”. In fact, just before his 4th season, Bartkowski lost his job. But in that loss, he found something greater. 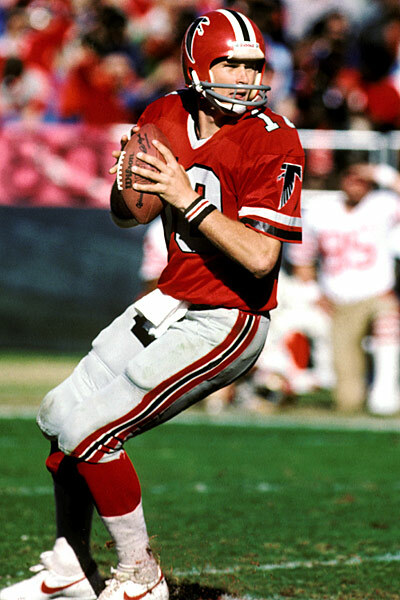 Bartkowski got his starting job back, and would go on to set Falcons passing records until knee problems led to his retirement in 1987. His passing records stood until the past couple of years when many were surpassed by Matt Ryan. He is one of only a handful of QBs to throw 30 TDs or more in back to back seasons. Nowadays, “Bart” remains active in the great outdoors. You can read this interview from Christian Sportsman Magazine where you will learn about his work with Christian Sportsman’s Fellowship. Check out what he says about his purpose in life. “How do you personally know that God has a specific plan and purpose for your life and what is His purpose or mission for Steve Bartkowski? 1- Bumps in the Road – I’ve talked many times on this site about the hard things that life brings our way. Sometimes they are speed bumps and potholes and sometimes the road seems washed out altogether. Now speed bumps in some parts of the world are referred to as “sleeping policeman”. Because what do you do when you see a police car when you are driving? If you are like me, you immediately take your foot off the gas pedal, check your speed and slow down if necessary to make sure you are not going to get a ticket. Speed bumps make us slow down like that. And maybe there is a lesson in that for us. We go so fast and focus so much on whatever is going on in the moment in our lives, that often, God can be out of sight and out of mind. But when hard things hit, those bumps in the road can force us to slow down and cry out to God. Maybe that is the challenge that we can take from this. Take time in good times and in bad to slow down and notice how God is working in your situation. 2- Seek Ye First -“But seek first His kingdom and His righteousness, and all these things will be added to you.” Matthew 6:33 has been an important verse in my life. A few verses earlier, Jesus is talking about worry, which I am prone to. I can get stressed about all kinds of things that are not even in my control. But Jesus invites us to focus on Him and His Righteousness – that is important because my righteousness is not worth anything. Isaiah 64.6 says “all our deeds of righteousness are like filthy rags”. If I am depending on my righteousness, it will cause me to worry more because I know that it is not even close to good enough. But Jesus lived righteously and died for our sins. He invites us to accept His righteousness as a cover for our sinfulness. Does that give us an excuse to keep on sinning? Certainly not. Instead we follow God’s design to carry out our primary purpose – to seek Him first and to ask for His forgiveness. Chose to live for Him and help others understand His love and the righteousness He offers them. How do you make decisions? I know that for me, I like to remain uncommitted for as long as possible as I process what is going on and figure out the best course of action. When there is a proverbial fork in the road, how long can I keep one foot on each path before I have to commit to following one way instead of another. That is my preferred method and it can drive the people around me crazy, especially if I am in a leadership position. But sometimes, I am not afforded that luxury. I need to make a choice and stick with it, regardless of what consequences that choice brings. And those consequences can be significant. 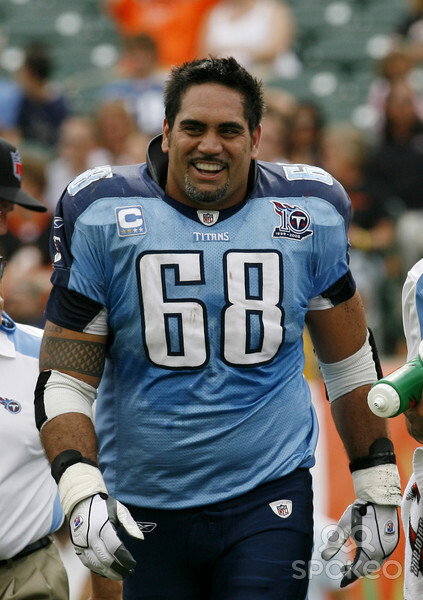 Often we hear about important decisions being a “matter of life or death” But for Kevin Mawae, who finished his All-Pro career with the Tennessee Titans and thus earns the “Throwback Thursday” post ahead of tonights Titans-Jaguars game, the most important decision that he made in his life was brought on by life and death. I will explain a little later. Throughout his career, Mawae’s teams would see more rushing yards and fewer in sacks allowed – a product of a great offensive line, anchored by Mawae. First, about Mawae, who was a 2nd round pick by the Seattle Seahawks in the 1994 NFL draft. He played for the Seahawks for four seasons before leaving via free agency to play for the New York Jets. 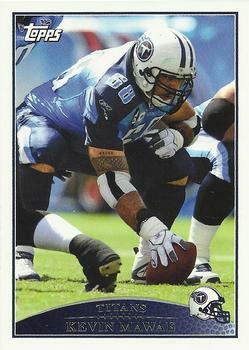 With the Jets, Mawae would find stardom as a member of the line that blocked for Hall of Fame running back Curtis Martin. He would also anchor the 2000 Jets offensive line that tied the NFL record for fewest sacks allowed in a season with 20. He would go on to play in 8 Pro Bowls, be named to 7 first team All-Pro lineups and be named a member of the 2000-2009 All Decade Team. 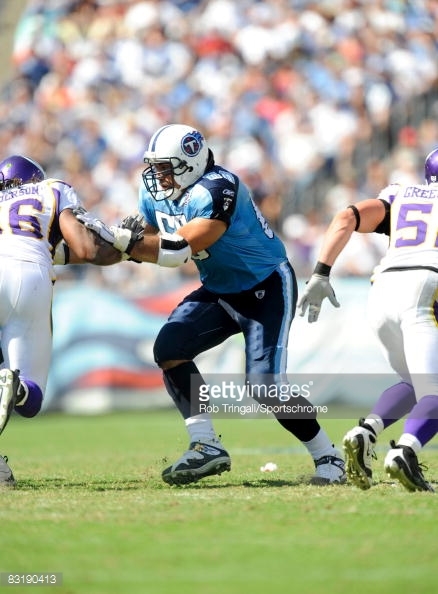 He would join the Titans in 2006 and play the final 3 seasons of his career there, greatly improving their running game and lowering their sacks allowed. 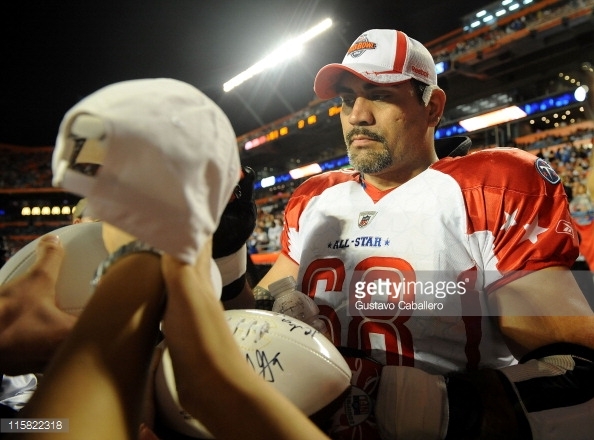 Mawae was named to 8 Pro Bowl’s in his career. 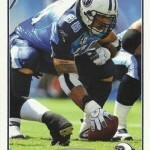 His final game as an NFL player was the 2008 Pro Bowl. 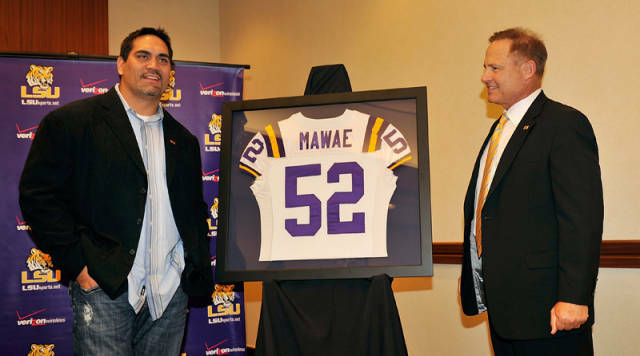 Mawae is in the LSU athletics Hall of Fame. He continues to share his faith story in and around Baton Rouge. 1- Decision Making – I opened this post by talking about my own decision making process and how it can be flawed or frustrating to others (and honestly to myself sometimes). But one great thing about God is that He can show how amazing He is whether we are making good choices or not. I think of the story of Jonah in the Bible. Jonah made bad choices. He ran from God and did the exact opposite of what he knew God wanted him to do. And God was still with him and through an amazing string of events, took Jonah back to the right place and give him another chance. Was it scary, uncomfortable and/or awful for Jonah? I would imagine the answer is a resounding yes! But is it an awesome story of God’s grace and forgiveness? Absolutely. And through the story of Jonah, there are groups of secondary characters that also get to see and experience God’s power, forgiveness and mercy. (The fishermen and the people of Nineveh). Be encouraged to take a chance, commit to following God. And even if you make bad choices, God is still there and can lead you back to where He wants you. 2- You Story is Yours! Use it! – God is the author of countless amazing stories – including the one you are living right now. It is full of hard things, pain, heartbreak, bad choices and hard lessons. But it is also full of amazing things like love, grace, forgiveness and the Creator of all things actively offering guidance and challenges for us to follow. Don’t be afraid of your story. Don’t be afraid of your past or what you’ve been through. But don’t let that be the focus either. Instead, focus on the God who has been with you through it all, and has a plan to use your story to draw others to Him. We saw it with Mawae’s brother playing a role in leading Kevin to choose to follow God, and we see it in Kevin’s story as he shares so openly the importance God plays in his life. How can God use you and your story for His purposes. Let His path for you be the path you choose to follow! 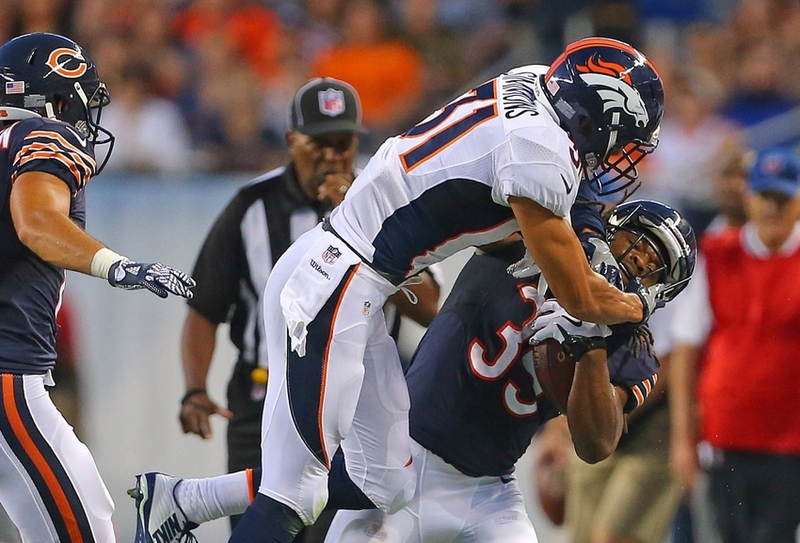 Last season, the Denver Broncos turned an amazing defense into a Super Bowl Championship. They had future Hall of Fame quarterback Peyton Manning under center, sure, but it was the defense that led this team to victory after victory and ultimately the Super Bowl. So then it must be exciting for a defensive player to be drafted by an elite defense. It would be great to join a top defense, but there may be somebody ahead of you on the depth chart that you will have to wait for or overtake to get a chance to play. The best you can do is try to impress and earn a shot. 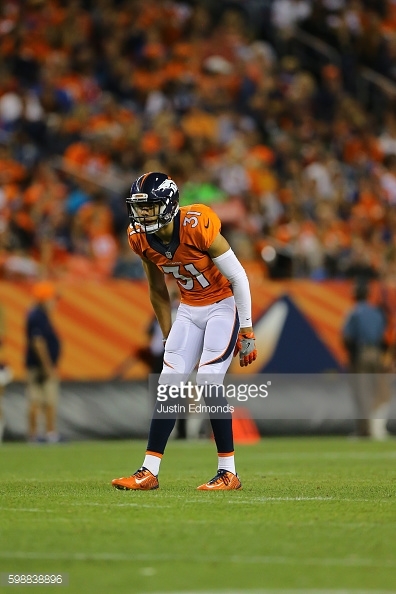 That is what Justin Simmons did. He impressed, was drafted by a top defense and hoped to earn a chance to play some. As you can read in this article from Mile High Report, Simmons ranked tops in vertical and broad jump at the combine. 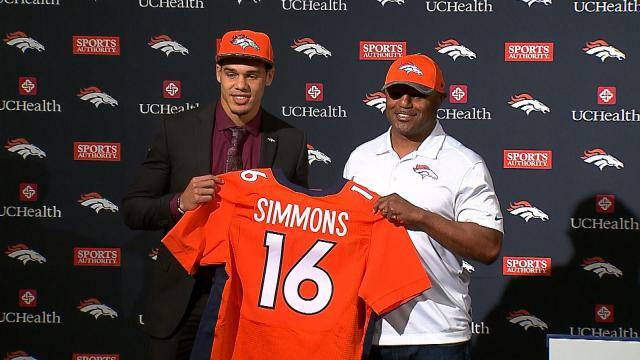 And while the starter for the Broncos return from last year, the thought at the start of the season was that Simmons would have add a lot to the defense, too. 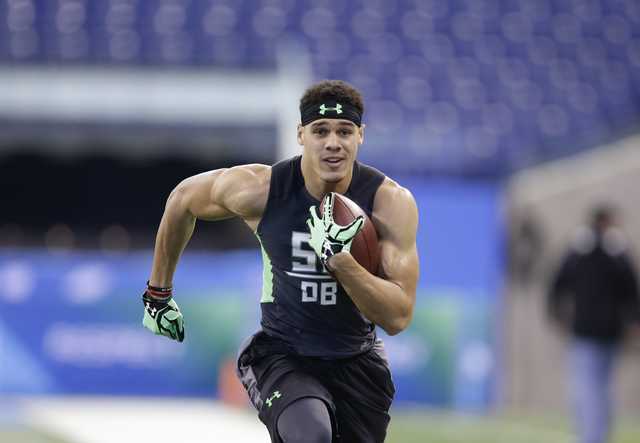 Simmons posted top results at the combine in broad jump and vertical jump. 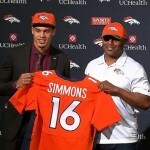 Now Simmons is ready to join one of the top defenses in the NFL. 1- Cannot Stay Silent – I really like the book of Acts. It is so encouraging to see how to early church grew and how that foundation is what the church today is built on. I am challenged by the boldness of Peter and John who after seeing Jesus killed and then encountering the risen Jesus, knew that He was the promised Messiah. They would share that message for the rest of their lives, regardless of the consequences that it may bring. Their boldness led them to be brought before the council for healing a lame man. They had been imprisoned and were being told not to tell anyone else about Jesus. But Peter and John remain bold with their answer in verses 19-20 “But Peter and John replied, “Do you think God wants us to obey you rather than him? 20 We cannot stop telling about everything we have seen and heard.” I see this kind of boldness in Simmons’ story, too. When he arrived in college and found the connection with God suffering a little, he took steps to create the environment where he and others could study the bible, connect with God and encourage each other. Have you seen and experienced the goodness of God? Has meeting Him changed your life? If so, it is impossible to stay silent. He is what life is all about and sharing about Him is the mission that He has given us. Let’s be bold and proclaim His greatness to the world around us. Justin and Taryn Simmons endured a long-distance relationship. Now married, they know God has strengthened them and brought them together. 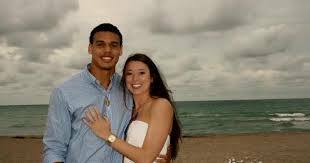 2- Finding a great partner – On April 1, 2016, Justin Simmons married his High School sweetheart. A couple of the articles that I read talked about their relationship and the long-distance challenge he and Taryn faced when he was in Boston and she was not. This connected with me because my wife and I met at a training program that lasted from September to December. We got engaged in April and married the following December. In the 12 months between the end of our program and our wedding day, we were in the same place for 5 months. The rest of the time, we were separated by thousands of miles and as many as 6 time zones. And that time that we had apart really forced us to work on the friendship part of our dating relationship. And it was good. It was hard, there were times when it would have been great to go on a date or hang out together with family or friends, but God used that time to build a foundation of friendship that now, almost 13 years into our marriage, continues to support and strengthen our marriage. Justin and his bride saw God’s faithfulness and grace carry them through their engagement has set them up for married life. I wish them the best and pray that God will continue to be a strong presence in their life together. This week, “Throwback Thursday” brings me to a sort of “necessary evil”. I am stationed in Vikings Country here in Minneapolis-St. Paul, and so as I aim to write about a player from each team (past or present) that means that at some point, I will need to share a positive, inspirational story about a member of the Green Bay Packers. That always seems to put a chill in the air with the die-hard fans of the “purple” that are all around. Maybe with the great season the Vikings are having, more grace will be granted as I write about a former member of the Vikings “cheesy” neighbors. As I looked into the stories of some of the historical Packers, the faith journey of former Packers Defensive End Kabeer Gbaja-Biamila caught my attention. I am excited to share some of his story with you here. His numbers are very impressive. 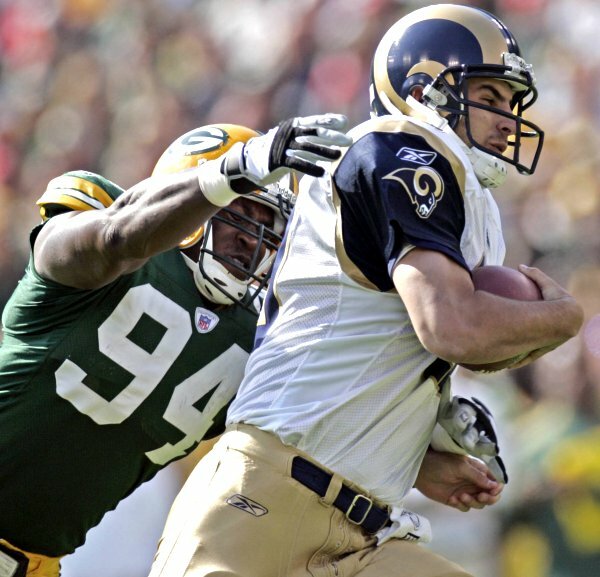 He played in 1 Pro-Bowl and led the NFC in sacks in 2004. 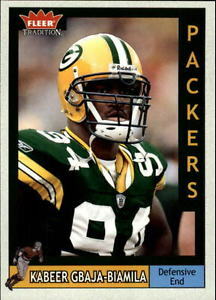 He was enshrined in the Packers Hall of Fame in 2013. 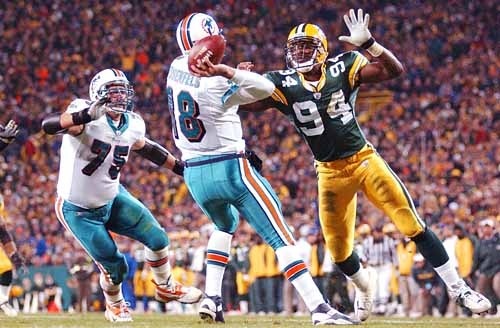 But most impressive is the fact that he is the all-time Packers sack leader. 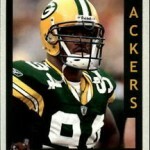 Kabeer Gbaja-Biamila, known in his playing career as “KGB: was born in Los Angeles, California in 1977. His parents had moved from Nigeria and were both Muslim. His mother, however, converted to Christianity shortly after arriving from Nigeria. So Kabeer was brought up in the middle of a battle of religions. As you can learn in this video from “The Increase” much of KGB’s faith and beliefs echoed his dad’s beliefs that Christians, when pressed, would not be able to give answers about God or why they believed Jesus was the Savior. 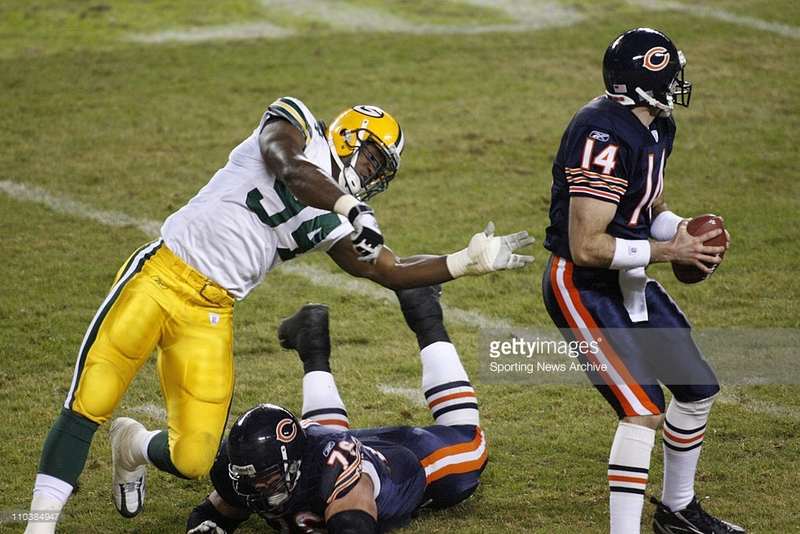 When he met with Gil Byrd, the director of player development for the Packers at the time, he posed his usual questions about Jesus to Byrd, but Byrd was able to answer them and started Gbaja-Biamila searching the Bible for more truth. You can read more about the exchange in this article from Samaritan Ministries. The truth that KGB learned was that he was a sinner and that all of a sudden, Jesus made sense. He realized that his sin made things seem hopeless at first, but the hope that Jesus brings is real. His willingness to take our place and pay the penalty is a life-changing. Kabeer prayed, admittedly uncertain to which God he was praying, asking that he would be able to find these contradictions in the Bible. Instead, he found the truth of the Bible and decided that he would choose to accept Jesus and live life for Him. 1- The Search for Truth – Gbaja-Biamila sought out Christians to try and tear down their faith. He wanted to prove that their belief in God was misguided and that Christianity was not true. But when he started to read the Bible for himself, he realized that it was true and that Jesus was real and was really God. John 8.33 says that the truth will set you free. That is what happened for KGB. It can happen for each of us, too. Give the Bible a read and ask God to show you what you can learn from it. God is enough. We don’t need special gimmicks to convince people to look to Him. He is enough. He is always relevant and his love and the truth of the gift of life that he offers is enough to win over even the coldest, hardest of hearts. 2- The Challenge is Issued – Gbaja-Biamila says in the video and the articles that he had a “go-to” challenge where he would ask Christians where Jesus said He was God, and many could not provide that answer. It is a good challenge. Do you know enough about your faith in God and the words of the Bible to answer the questions that opponents of your faith may have for you. I am challenged to study the Bible daily and grow in my understanding of the Word so I can be ready to answer these types of questions. Interestingly enough, I am in a weekly Bible study that is studying the book of John, and just this week, a couple days before reading Gbaja-Biamila’s story, I was studying John 4, where Jesus is talking to the Samaritan woman at the well. In John 4.25, the Samaritan woman says that she knows that the Messiah is coming and he will explain everything to the people. Jesus replies in verse 26 “I, the one speaking to you- I am he.” Jesus was the Messiah, and He knew it and declared it. You can know it too, and be confident that if you ask Him to, He will reveal Himself to you. 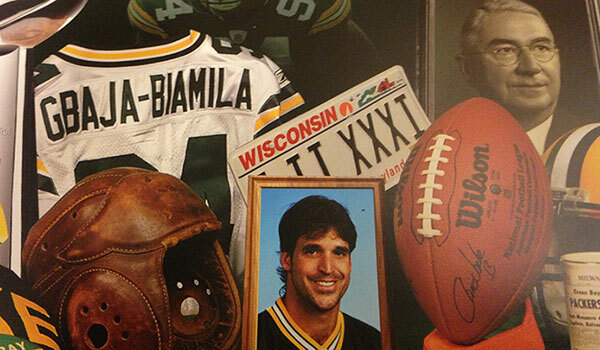 Gbaja-Biamila was inducted into the Packers Hall of Fame in 2013. Despite the success on the Field, KGB is more excited to talk about Jesus. 3- Ultimate Reward – Gbaja-Biamila had a great career with many accolades and successes. There would be lots of reasons that he would have to brag. But that is not what KGB is all about. He says “If I’m going to be doing any bragging, I’m going to be bragging about Your Son, and what Your Son did for me.’ I’m just blessed to be a part of anything that He’s got going on.” We can get so caught up in our status or achievements which will all rust, or fade away. But what Jesus did for us, that is never ending. It will not fade away. It is the ultimate reward, mostly because it is not something we did anything to win or deserve. His gift of love and life is worth celebrating and bragging about. Let’s tell everyone what an amazing God we serve and what a great Savior Jesus is. He offers this gift to all who would believe in Him. Let’s spread the news. Ryan Quigley knows punting. He excelled at it in High School and in college. Eight years of excelling on the football field but as you can read in this Sports Spectrum article, there he was, out of football for the first time in almost a decade. He had been invited as an undrafted free-agent to the Chicago Bears camp, and made the roster out of camp to start the 2012 season, but he was waived early in the season without appearing in a game. 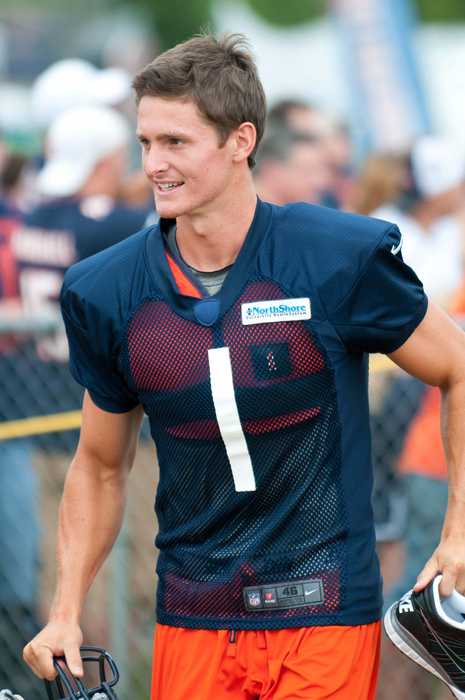 Quigley was signed as a free agent by the Bears in 2012, but didn’t appear in a regular season game for them. 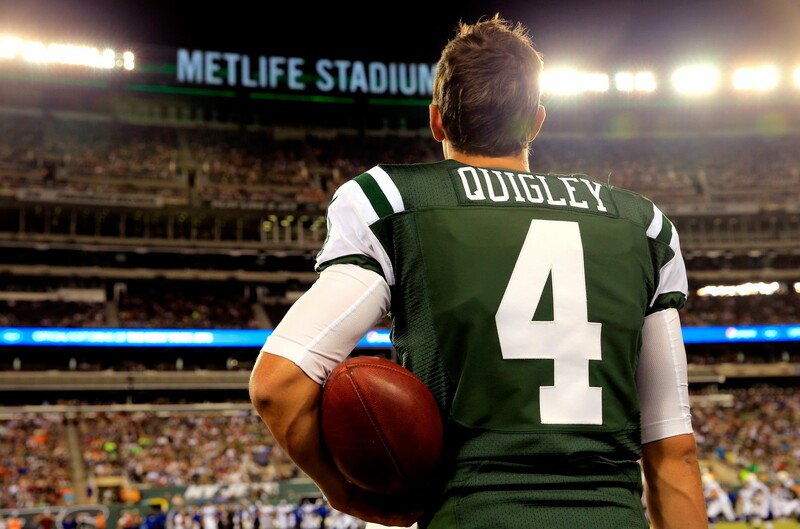 Quigley signed with the Jets and spent 3 seasons with them. His chance at football would come. The Jets signed him, taking him away from his final weeks of school before finishing his degree. You can read here about his call to the Jets and finishing his degree. He would appear in 14 games for the Jets in 2013 and played 2 more seasons with them as well. But they didn’t bring him back after last season. He signed with the Eagles in the off-season, but was cut a month later. 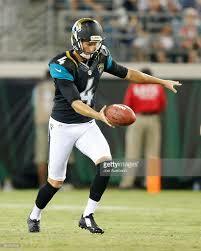 He signed with the Jaguars and went through training camp with them before being cut at the end of camp. And with Drew Butler on the shelf for a few weeks Quigley has a chance to play for the Cardinals. Quigley is hoping to make the most of his chance with the Cardinals and looking to either stretch this chance longer or catch on with another team. Either way, he is trusting God to lead and confident that God is with him. 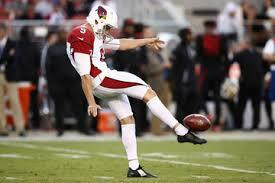 After off-season stints with the Jaguars and the Eagles, Quigley signed with the Cardinals at the end of September. 2- Impossible to Completely Understand – Quigley shared that as his faith grew, he knew that there were things about God that he didn’t understand, but that didn’t deter him. Instead, it gave him a desire to know more. We will never understand everything about God and that is comforting. If little old me could figure out God, then He would not be very impressive. But He is a mystery and works things out in His perfect way every time. And while we won’t completely understand God, it is great getting to know Him more and more and seeing the ways that He shows up in our circumstances will encourage us to keep seeking Him.